Depression feels like drowning from the inside. Welcome to the aftermath of a mental breakdown. Sophie is trying to mend the pieces of her broken life. The people around her think she is “cured”, but she knows she still has a long way to go before she truly feels “better”. 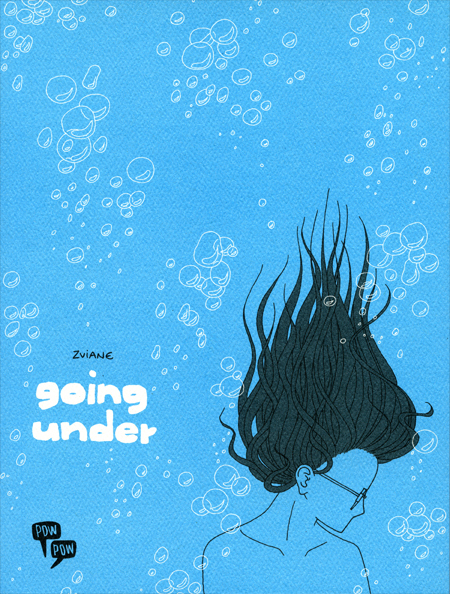 Going Under is not a story as much as a process, fragments of a personal journey collected in order to make as much sense as possible of an experience which still feels impossible to describe. A sober portrait drawn in a minimal, almost self-erased style, Zviane’s award-winning graphic novel showcases both her interest in classical music and her remarkable talent for intelligent, poignant character studies. Through this second-person account, she achieves a state of dissociation which mirrors the feelings of her protagonist – centering her narrative around emotions and the way images can convey them when words otherwise fail to do so.